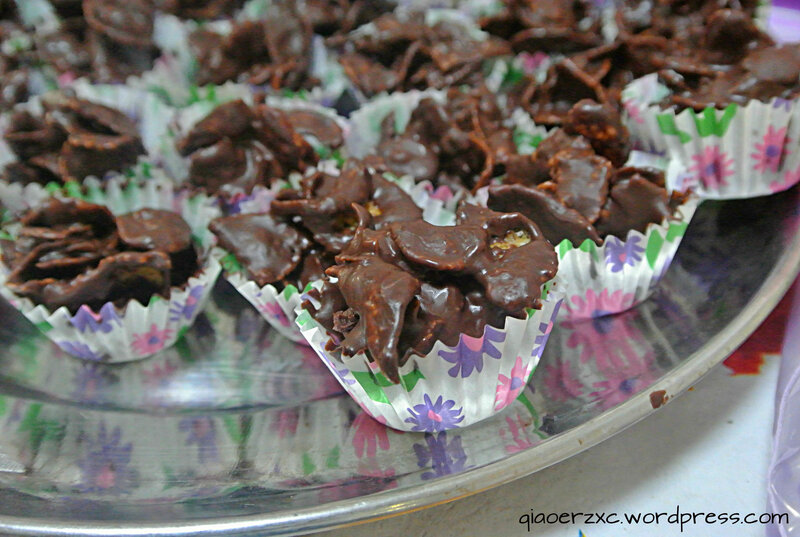 Recipe: Chocolate Cornflakes | All about food. 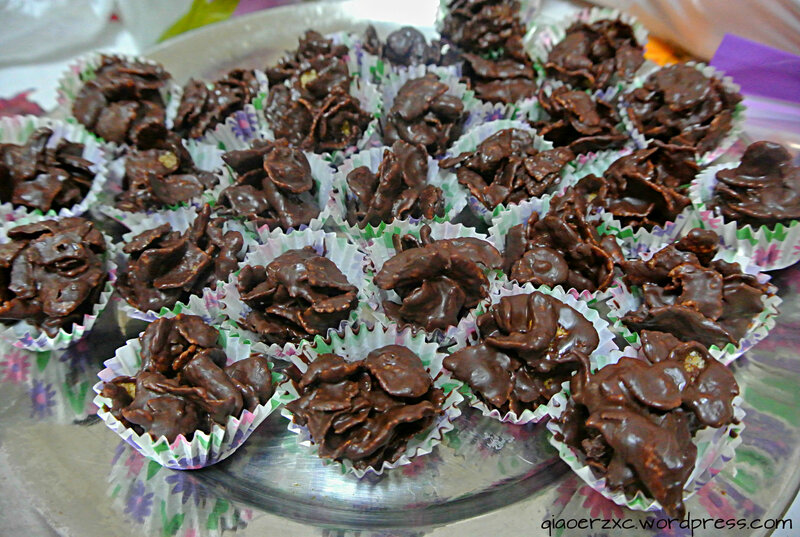 I was asked if I make chocolate cornflakes for Chinese New Year as it has always been a hit during this festive period. However, it always didn’t seem like a challenge to me as it only requires 2 ingredients to make, thus I’ve never tried making it before, neither have I eaten it before. However, few days ago, my colleague made those and had leftover chocolate and cornflakes. So she gave it to me and I decided to give this snack a go. It was sooooo good, except for this chocolate part as I used compound chocolate. I didn’t weigh out the amount of chocolate I used to make these cornflakes so the amount might differ. Melt the compound chocolate in a large bowl over double boiler (bain marie). *Turn off the heat once fully melted and pour cornflakes into bowl, stirring well until cornflakes are well coated with chocolate. *At this point, continue placing your bowl on the double boiler so that the compound chocolate remains liquid. Thats it. Pretty easy huh? I’ve always loved the simplicity of these and they are always tasty! Looks great!